There are an endless number of factors that will influence your decision to buy a property. Between the location, the facing, and the square footage, you will have to make a lot of choices to find the perfect property. Beware, however, because your favourite piece of real estate may have fallen victim to invisible damages and defects that could trouble you for as long as you own the building. Before you decide on a property, you will want pre-purchase inspections, and Melton (and other suburbs) get the best inspections from Building Property Inspections Melbourne. You might waste thousands of dollars on an issue that you failed to notice or one that an unsavoury seller neatly masked. Before getting yourself into a real estate nightmare, try building and pest inspections. Melton, Chelsea, Narre Warren, and more are all reachable by our professional agents with prompt service. In addition to being very prompt and punctual, Building Property Inspections Melbourne provides a thorough service as quick as you need and will help you to understand our report. We include a full-service job for an agreeable price that’s convenient for you. Our agents will correspond with you over the phone and through our easy-to-read reports. If you are having itching worries about a property you like, try our property inspections near Melton. 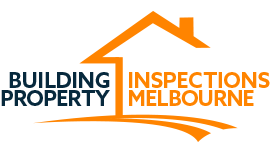 When you choose Building Property Inspections Melbourne to perform your building and pest inspections near Melton, you will enjoy our close attention to detail and our prompt service. Our inspections are thorough; we find it all. We will inspect each piece of timber for termite infestations and can investigate special damages. We will identify structural defects and damages and list everything on our detailed reports. Save money by going with our competitive prices and attentive service. We do not want to waste your money or your time, so we perform our services by appointment and notify our customers on completion. All our inspections are insured to guarantee a clean performance without error. Save money before committing to a property by engaging our services of building inspections near Melton. We believe that property inspections are a necessary part of every property purchase. You must make an informed decision before making a purchase. We offer precise pre-purchase inspections near Melton and other surrounding suburbs with top-quality performance to ensure that you do not waste money by buying an overpriced property. After taking advantage of the prompt service that Building Property Inspections Melbourne has to offer, our detailed report will show you everything you need to know about your purchase. Whether your property has an infestation, is structurally unsound, defective, or totally fine, we will find every detail that you need to know before you make a property purchase. If you are ready to set an appointment for pre-purchase inspections for Melton properties, contact us on our website. Our terms & conditions are viewable from the Contact page, and you can call us on 0438 280 420 to ask questions or set a next-day appointment.